As suggested by its name, the "Sail" collection from Bristan features designs inspired by the shape of a wind-blown sail. The result is a distinctive tilted design, combining sleek lines with two bold, angular handles. 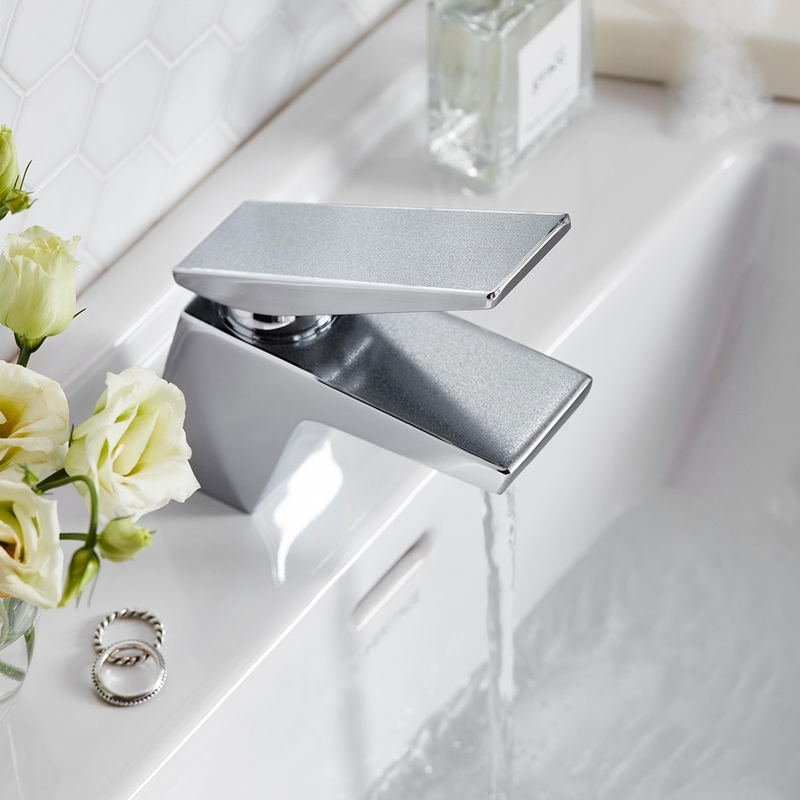 This bath filler is a stunning addition to your bathtub and is available in several different finishes that will allow you to add an extra unique touch to your room. This particular "Champagne Shimmer" model offers rich colour and a general soothing energy with its warm, burnished glow. Sail taps are manufactured using brass coated in chrome, resulting in a piece that is beautiful and made to last. All "Sail" mixer taps include a 5 year guarantee, helping you enjoy them well into the future.